When you are updating the bathroom in your home, flooring is always at the top of the list. Choosing vinyl flooring for the bathroom is the best as it offers many benefits over natural flooring options like stones or tiles. 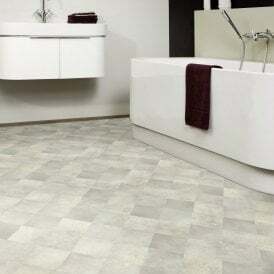 The vinyl flooring is available in a dramatic range of colors, patterns and styles and is also waterproof. 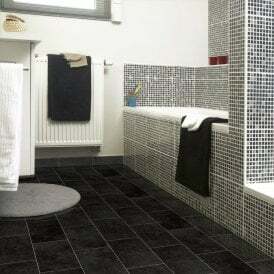 Now, many people in UK are getting the bathroom floor upgraded to vinyl so as to prevent any slip and fall accidents. You can get in touch with the experts to select the best vinyl flooring in UK and getting it installed. Too much moisture in the air can swell the wood flooring whereas vinyl planks do not absorb the moisture. So, you won’t have to worry about warping and swelling. Stones do not absorb ambient heat from the room quickly, so they are too cold to walk on it. Vinyl is more pleasant to walk on without wasting the time for searching for fuzzy slippers, thick warm socks just for walking into the bathroom. Marbles and other natural stones are hard materials and walking on it can be tough for the knees and ankles especially for the elder ones. Vinyl planks are soft and allow you to walk on it softly so that your joints are less likely to ache. If you are walking on the stone with hard sole shoes, it makes a clunking sound with every step which can be irritating. On the other side, if you are walking on the vinyl it is quite. If you are looking for a quieter living space, vinyl flooring is the right choice.